Dr. Snyder earned his Doctor of Philosophy Degree in Counselor Education and Supervision, with an emphasis in Crisis Prevention and Management from Duquesne University. 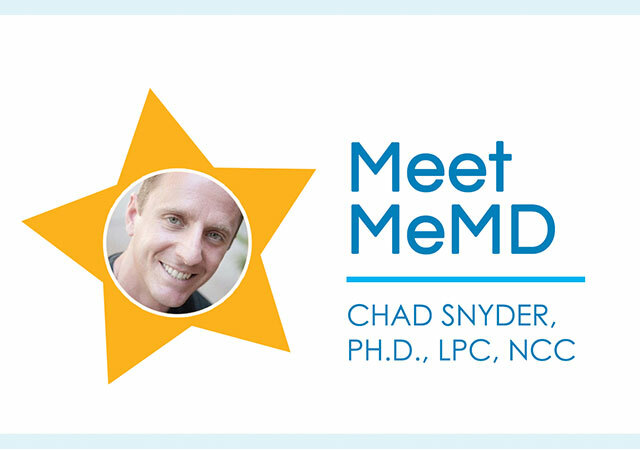 He has been a Licensed Professional Counselor since 2003, gaining experience from diverse positions held within the mental and behavioral health field and is also MeMD’s Clinical Director. He offers some insight into self-love around Valentine’s day and what brought him to his career and MeMD! I’ve always been interested in what drives us to feel what we feel, think what we think and do what we do. Given this curiosity, the field of psychology and counseling was a perfect fit for me. The knowledge gained not only allows me to assist others with having a better quality of life, but it also provides me with the same knowledge, tools and experiences to lead a better life as well. What do you do in your free-time? In my free time, I love to stay active, be productive, and find time to relax. Staying active is accomplished by hitting the gym/crossfit and other sports/outdoor activities. Being productive is accomplished by completing tasks off the “to do” list or working towards personal or professional goals in some manner whether that’s reading a new book, prepping to teach a class, etc. And relaxing is accomplished by laughing with friends, watching a good movie and finding time for solitude. 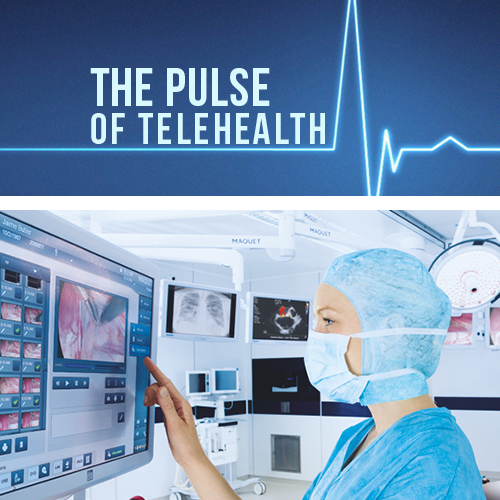 What prompted you to become involved in telemedicine? 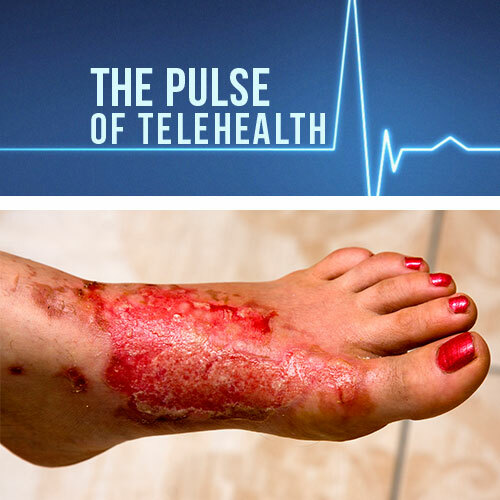 Since telemedicine is one of the newest service delivery options for patients, I felt I needed to be more knowledgeable of the technology, its application and its potential benefits/limitations. 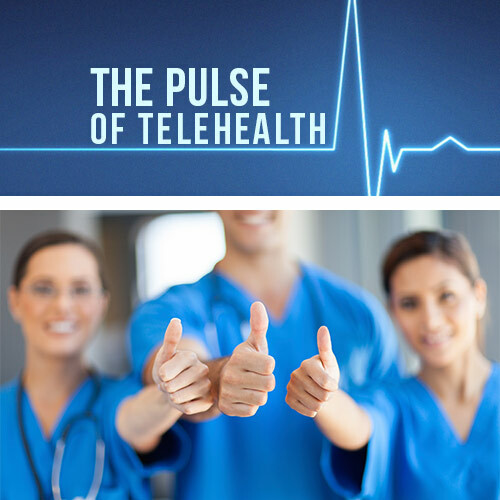 With telebehavioral health being so relatively young in its development, I’m afforded the opportunity to help MeMD shape and grow a program using the latest technology to benefit patients and that’s exciting. What topics are you most passionate about in your field? The field is fascinating to me so picking specific topics is hard. However, I definitely would say that I’m passionate about empowering others to not let their past, a specific event, situation, person, etc. dictate who they are and what they are capable of accomplishing. Life can be difficult at times and we may not be able to control what happens to us, but we definitely have a choice in how we choose to move forward. I hope that I can instill this philosophy in my clients, students and role model it as well. What’s the last book that you read that you would recommend to others? Hmm, tough question because there are so many great books out there. Career specific, I would go with On being a Therapist by Jeffery Kottler. Leadership wise, I’d go with anything from John C. Maxwell. Fitness related, The Champion’s Mind – How great athletes think, train and thrive by Jim Afremow. And just for fun, anything from Dan Brown, James Rollins or David Baldacci. How can everyone practice more self-love around Valentine’s Day? Accept who you are and where you are in life: Even if life isn’t what you want it to be right now, don’t focus your time and energy on the doom and gloom of the situation. Remember, acceptance doesn’t equal approval. So, with that in mind, I can accept that I don’t like certain qualities about myself, my job, my finances, or whatever the case may be, but I remind myself that I’m not approving or owning them either. Instead, I’m choosing to accept them while focusing my time and energy on positive changes, options or plans that support my future growth and improved quality of life. Let go of the past and forgive yourself: Bad things happen, we make mistakes and sometimes we just wish we had a do-over. While we don’t have control over changing the past, we can choose to not let it dictate our future. Refusing to agonize over the past allows you to spend more time enjoying the present. Embrace your values: Our values are what drive our time, energy and focus. So, when we stray from who we are at our core, our basic nature is to feel at odds. This leads you to feel down, angry, guilty, etc. Stay true to who you are and you’re more likely to feel good even in times of stress. Turn up your favorite music: While I’m not talking about jamming out to your favorite tunes, even though that is a great outlet, I’m metaphorically taking about what thoughts you choose to listen to. One of the many theories in counseling suggests that thoughts determine how you experience and feel about events in your life. So, the goal is to learn to recognize negative, destructive or irrational thinking and replace or restructure the thoughts in a more positive, rational or logical manner. So, one way to do this is to think about negative thoughts as the type of music you dislike and think about positive thoughts as the type of music you love and enjoy. When you catch yourself listening to the bad music, turn it down and turn up the music you love. Practice focusing on the positives: It’s easy to focus on the negative and list out what’s not going right, what we don’t like about something and why something isn’t going to work as a fix/solution. Rick Hanson, noted that the mind is like Velcro for negative events and Teflon for positives. For some reason, this just seems to be how our mind works. So how do we overcome this? Well research notes that an individual can cancel out the impact of one negative experience with four positives experiences. So, start keeping a record of your successes regardless of how small they may seem, take time to celebrate them to cement them into your memory, and develop positive affirmation lists to remind yourself of your great qualities.